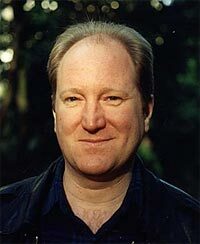 Richard Paul Macphail was born on September 17, 1950 in Bedford, England, the third child of David and Mary Macphail. His parents had returned from Brazil where Richard's father worked a couple of months previously in order to avoid Richard have to serve in the Brazilian army one time. So they moved in with Richard's mother in Bedford. Later they moved to Bramley near Guildford, Surrey. From 1958 to 1963 Richard attended Aldro School in Shackleford before he went on to Charterhouse School in Godalming. The sheer size of the school was something Richard needed time to get used to; he has likened the switch from prep school to Charterhouse to going from being a big fish in a small pond to being a small fish in a very big pond. Richard had already discovered for all kinds of pop music by then. He got to know Rivers Job who had just begun to put together a band with Anthony Phillips. Richard had mistakenly been given the drummer's job though he could not play the instrument. He had a good voice, though, and so he became the singer. Soon Rob Tyrell and Mike Rutherford joined the band called Anon, and this was one nucleus of what later would become Genesis. Anon played mainly covers of Rolling Stones, Beatles and The Yardbirds. Later they also added their own material to the set lists they would play at parties. Their first public performance at a school function in 1965 brought them into favour with older students, strengthening their position in the complex hierarchy that was Charterhouse. A close friendship developed between Richard and Anthony. He also got to know Peter Gabriel, Tony Banks and Chris Stewart, all house mates of Anthony's; they, too, had begun to write music together and form their own band, The Garden Wall. At the end of term concert 1966 Anon played the legendary concert with The Garden Wall, a performance that prefigured the fusion of Anon and The Garden Wall into Genesis. Richard's ambition to be part of a pop group overshadowed his academic efforts and so he had to leave Charterhouse in 1966 and continued his education at Millfield Public school in Street, Somerset, in the southwest of England. Again he joined a band. They called themselves The Austin Hippy Blues Band and also played covers. 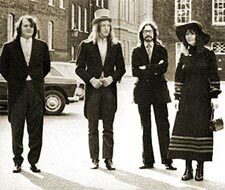 One member of this band was Harry Williamson who got to know Anthony Phillips through Richard and who would later write and record Tarka and the Gypsy Suite with him. Though he was living quite a long way from his friends in Surrey Richard kept in touch, particularly with Anthony who was his best friend at the time. They wrote each other regularly and met during the holidays. This was at the time when the two school bands had already merged into the first line-up of Genesis. In the summer of 1968 Richard went to Israel and lived in a kibbuz for half a year. He once said he could still remember hearing A Winter's Tale (Genesis' second single release) on the radio and hardly being able to believe that these were really his former band mates coming out of the speakers. Genesis had begun to go professional at that time. 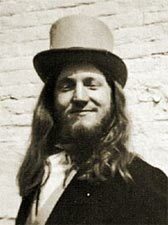 Richard returned to England and joined the band whenever they did anything. His original desire to just be with his friends again soon turned into a passion for the incomparable music Genesis made, and so he made it his job to support the band and accompany them to a good future without being involved in the making of the music. In late 1969 Genesis withdrew into Richard's parents' cottage. In the seclusion of this cottage the band worked on new ideas and songs for Trespass while Richard provided food and helped Peter organize dates with people from the music business. 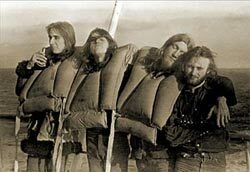 After Genesis had signed to Charisma Records the band moved to London, and Richard became their road manager, taking care of the equipment and driving them from gig to gig. Later he also became their sound engineer and made sure that the band sounded live as they should and as the audience liked it. The band embarked on a three-year annual cycle of touring, writing new material, recording a new album and touring again, and Richard stayed with them. Richard never considered himself a part of Genesis, but the band did not agree. The Foxtrot credits mention him as a full member of the band, and his portrait is on the foldout cover alongside those of Tony, Steve, Phil, Mike and Peter. He was also on the cover of the German Watcher Of The Skies 7“ single along with Tony, Peter and the others. Foxtrot and particularly Supper's Ready convinced Richard that Genesis had developed to a point he had wished for from the beginning. 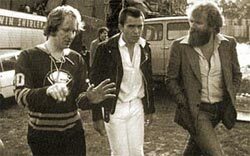 After setbacks like Anthony Phillips' departure the band had obviously found their style and consolidated to a degree that they did not need Richard's help anymore. He also wanted to change and experience new things. When he left his friends in April 1973 they dedicated their Live album to him. Richard Macphail is very keen on independent communities and trying to live in a kind of ecological balance in the country: the first traces of protecting the environment combined with different experiments on how people could live with each other. He joined an organisation called Gentle Ghost who attempted to make the idea of a community reality. People could ask them for lots of different jobs like painting, gardening or moving. Richard became a semi-professional furniture remover. Gentle Ghost also offered a variety of courses on carpentry, electronics, autosuggestion and yoga. Richard also ran the vegetarian restaurant for a while. But Genesis would cross his path again. When Genesis' light engineer Les Adey fell ill in spring 1974 Richard was asked to stand in. Though he had virtually no idea of stage lights he agreed and took care of the lights during North American shows for about a month. He used the opportunity to tramp through the U.S. and Canada for several months after Les Adey had recovered. Richard stayed in touch with the band, though each went their way. When Genesis were planning their first tour after Peter Gabriel's departure in 1976 Richard offered to be their road manager for the European leg of the tour, and so he returned to the band in summer 1976 for the second (and currently last) time. He also kept in touch with Peter Gabriel, managing him in 1977 and 1978. He accompanied him to all activities, sorted out his studio times and became his tour manager. In 1979 he joined a band as a singer. They called themselves (amongst other names) MC2, but they did not have much success and did not release anything (with Richard on vocals). In 1980 Richard said farewell to professional music and began doing what he still does today. He had always been interested in environmental issues. When he got to know someone who researched solar energy for the University of Westminster he founded the company Optima Energy, a kind of consultancy for efficient use of energy who work out how their customers can save energy. Today Richard is his own boss and the co-owner of a successful company.